Approximately 100 jury trials to verdict. My civil trial experience began with automobile and slip and fall accidents and evolved into product liability, legal malpractice, public agency (road design and police conduct) and bad faith litigation. Trial experience has included claims of seven figure economic loss, extremely serious injury cases, claims for wrongful death and civil rights violations. Pending litigation matters include claims against municipalities and their police officers, environmental claims relating to pesticides and mold and claims of bad faith. Konrad was born and raised in San Diego, CA. He earned his BA in Mathmatics and Economics from Occidental College in 1984 and his JD from University of San Diego in 1991. 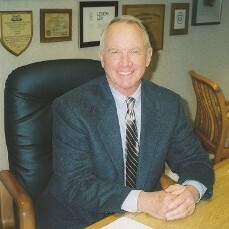 He joined McCormick, Mitchell & Rasmussen in 1990 as a law clerk and then as an attorney in 1991. In addition to being admitted to the practice of law in the state of California, Konrad is admitted to practice before the United States Court of Appeals, 9th Circuit, Southern and Central Districts of CA. 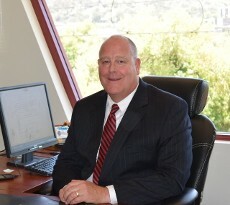 Konrad is a member of the San Diego County Bar Association and San Diego Defense Lawyers, both since 1991. Konrad's main areas of practice at MM&R include Public Entity Liability, Auto and General Liability, Insurance Defense, Employer Liability and Construction Defect. Konrad enjoys cycling, gardening and fishing. 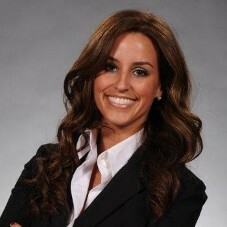 Nicole Barvié joined McCormick, Mitchell & Rasmussen in January 2013 as an Associate Attorney. Ms. Barvié was born in Fairbanks, Alaska, and prior to settling in Tucson, Arizona her sophomore year of high school, she grew up in Mexico, Venezuela and Peru. Ms. Barvié received her Bachelor’s Degree in Political Science and Spanish from the University of Arizona in 2005. Ms. Barvié is fluent in Spanish. Following her undergraduate studies, Ms. Barvié moved to San Francisco, before migrating south to San Diego to receive her Juris Doctor from California Western School of Law in 2011. At McCormick, Mitchell & Rasmussen, Ms. Barvié’s practice focuses on civil litigation, with an emphasis in public entity defense. Ms. Barvié is admitted to practice law in California and Arizona. In her spare time, she enjoys traveling, wine, cooking, and spending time with her husband, daughter, and cat Diego.